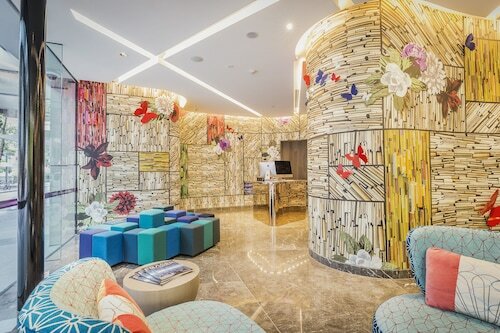 Located in Brisbane Central Business District, this luxury apartment building is within a 5-minute walk of Queen Street Mall and Brisbane Botanic Gardens. Museum of Brisbane and King George Square are also within 10 minutes. Brisbane Central Station is 11 minutes by foot and Brisbane Roma Street Station is 14 minutes. 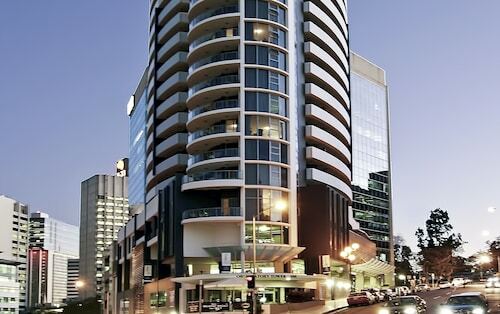 Located in Brisbane Central Business District, this apartment building is within a 10-minute walk of Brisbane Botanic Gardens, Eagle Street Pier, and Queen Street Mall. South Bank Parklands and Roma Street Parkland are also within 1 mi (2 km). Brisbane Central Station is 12 minutes by foot and Brisbane Roma Street Station is 18 minutes. 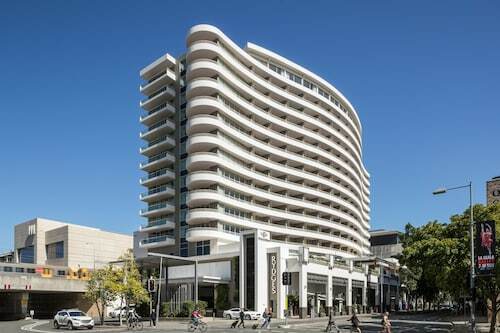 Situated in the entertainment district, this apartment building is within a 5-minute walk of South Bank Parklands and Queensland Performing Arts Centre. Brisbane Convention and Exhibition Centre and Wheel of Brisbane are also within 10 minutes. South Brisbane Station is 6 minutes by foot and South Bank Station is 15 minutes. 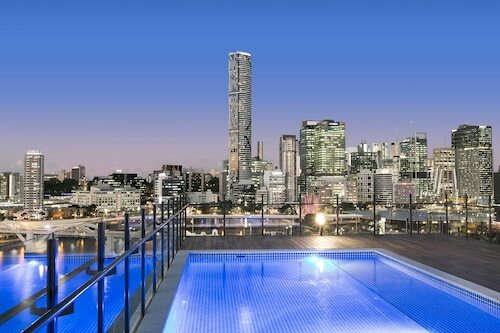 Located in Brisbane Central Business District, this luxury apartment building is within a 10-minute walk of Brisbane Customs House, King George Square, and Brisbane City Hall. Queen Street Mall and Eagle Street Pier are also within 15 minutes. Brisbane Central Station is only a 4-minute walk and Brisbane Fortitude Valley Station is 13 minutes. 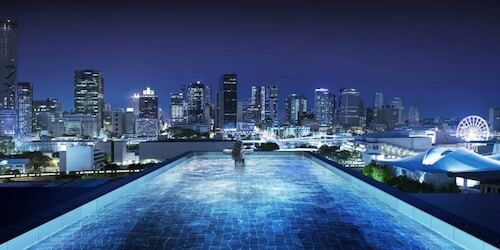 Located in Brisbane Central Business District, this luxury aparthotel is within a 10-minute walk of Brisbane Private Hospital, Queen Street Mall, and King George Square. Roma Street Parkland and Brisbane City Hall are also within 15 minutes. Brisbane Central Station is 5 minutes by foot and Brisbane Roma Street Station is 11 minutes. Situated in South Brisbane, this apartment building is within a 5-minute walk of South Bank Parklands and Queensland Performing Arts Centre. Brisbane Convention and Exhibition Centre and Wheel of Brisbane are also within 10 minutes. South Brisbane Station is 7 minutes by foot and South Bank Station is 16 minutes. 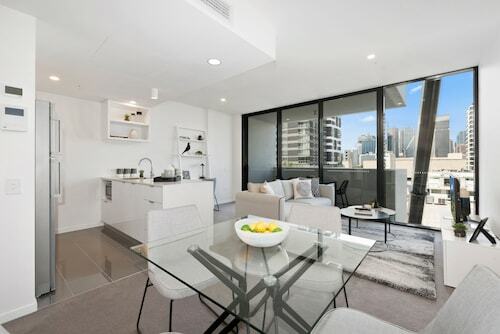 Situated in South Brisbane, this apartment building is within a 10-minute walk of Brisbane Convention and Exhibition Centre and Southbank Parklands. 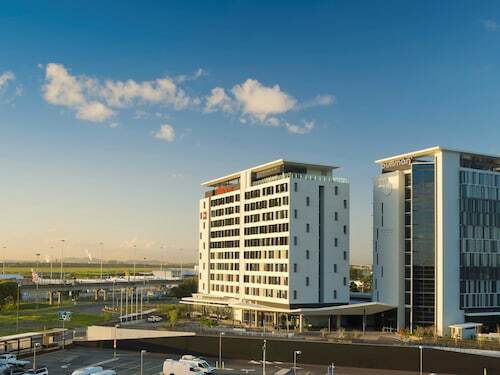 Mater Private Hospital Brisbane is 0.6 mi (1 km) away. South Bank Station is 6 minutes by foot and South Brisbane Station is 12 minutes. 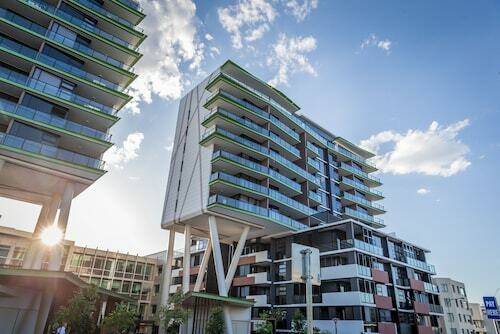 Situated in South Brisbane, this apartment building is within a 10-minute walk of Gallery of Modern Art and South Bank Parklands. Brisbane Convention and Exhibition Centre and Queensland Performing Arts Centre are also within 15 minutes. South Brisbane Station is 12 minutes by foot and Brisbane Roma Street Station is 18 minutes. 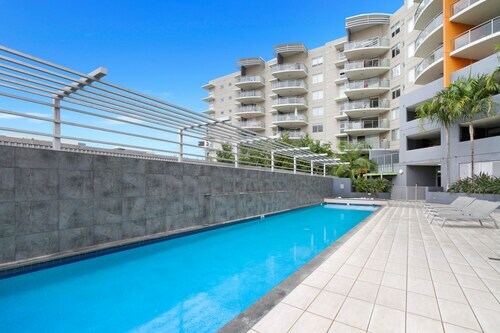 Situated in South Brisbane, this apartment building is within a 10-minute walk of Queensland Performing Arts Centre, South Bank Parklands, and Brisbane Convention and Exhibition Centre. Queen Street Mall and XXXX Brewery are also within 1 mi (2 km). 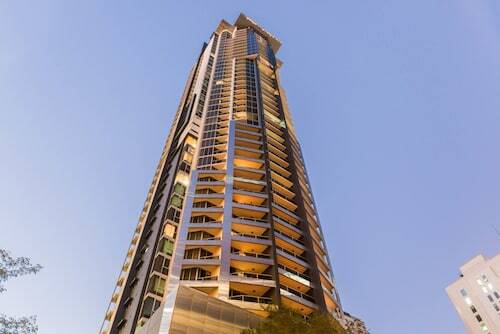 South Brisbane Station is 10 minutes by foot and South Bank Station is 16 minutes.